Officials have spent the last week gearing up for Saturday’s kick off of the 20th Highland Spring College Classic Series, which begins at Stout College’s campus at 7 a.m. on Saturday. Registration, which is free, starts at 6:30 a.m.
“We have been putting all the final touches in place to get the series started, race director Stephanie Russ Penn said. Russ Penn said they are also finalizing plans for a fundraiser during the course of the series and more details will be forthcoming, and they are hoping to celebrate persons who have played a major role in the success of the event. “I hope everyone is getting ready, they have their running shoes ready and they are ready to hit the pavement and have a great time,” the race director said. 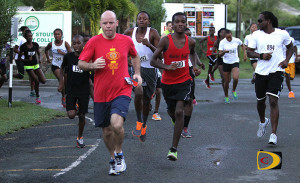 The series has also seen participants from St. Thomas Eudora Kean High School and the University of the Virgin Islands. Other races on Tortola are scheduled for: Oct 3 and 24 and Nov 14. 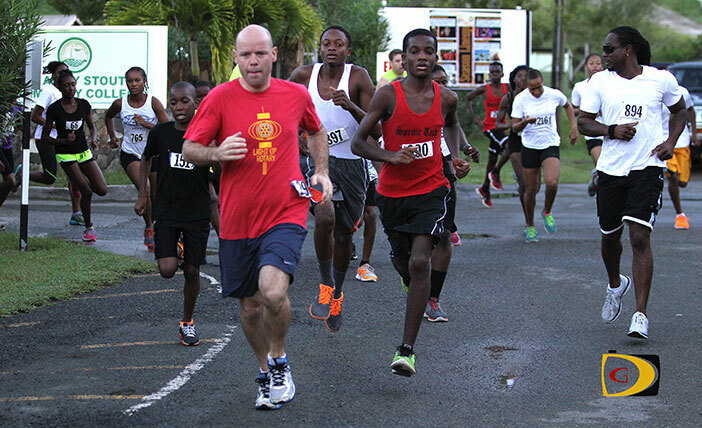 The Virgin Gorda leg will be run on Sept 26, Oct 17 and Nov 7.